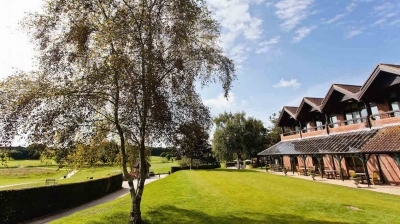 Barnham Broom is a luxury resort offering a warm welcome to all guests looking for an exception experience. With first class facilities and amenities, Barnham Broom boasts a stylish setting in the heart of the Norfolk countryside. Conveniently located just west of Norwich, Barnham Broom is the perfect base to explore both the city and the surrounding area. 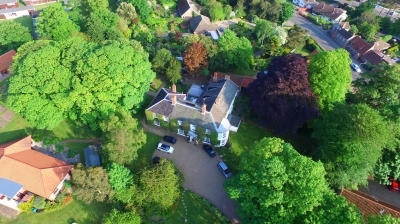 The resort overlooks 300 acres of beautiful Norfolk countryside with 46 contemporary bedrooms offering comfortable, stylish and luxurious accommodation. Two contrasting 18-hole golf courses, The Valley and The Hill, surround the River Yare Valley, offer a premium golf destination. The Edge Health & Fitness Club, with its state-of-the-art gym equipment, sauna, steam room, squash courts, tennis courts, fitness classes and heated indoor swimming pool, is the perfect place to improve your health & well-being. Enjoy high-quality dining in the award-winning Brasserie or visit the Valley Bar’s comfortable lounge for afternoon tea or an indulgent cocktail or two. Or, come and relax at the Sports Bar, which offers a fantastic menu in an informal setting. The four star Maids Head Hotel is the oldest hotel in Britain. The site has been providing hospitality since the early 12th century. With its long history of famous guests, including Edward the Black Prince, Catherine of Aragon and Queen Elizabeth I and tradition of service to the local community, the hotel is filled with character that sets it apart. As an independent hotel we pride ourselves on excellent service, attention to detail and flexibility making our guests feel welcome and at ease whilst staying with us. Our Chefs understand that every guests needs are different and whilst creating our mouth-watering menus of local produce they will be happy to look after any dietary request. Our restaurant and bar staff are on hand to recommend the perfect wine to match your meal and will do so by course as required. 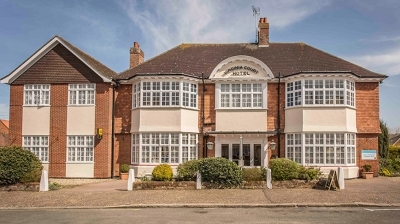 In addition to our bedrooms and restaurant the hotel also has eight event rooms which can cater for up to 200 guests for weddings, banquets, and conferences. All of our event rooms have individual character, combining this with our flexible approach to events we can tailor make bespoke events to match our customers' needs. The Library Restaurant, Bar & Grill in Norwich city centre enjoyed a fabulous revamp last year. A sumptuous makeover included the introduction of a relaxing lounge area and tasty tasty new dishes. Housed in a stunning Grade II listed building that is the site of the first public library in Britain, The Library Restaurant, Bar & Grill offers high-quality modern English cuisine, specialising in fresh fish and meat cooked on a wood fired grill. The main restaurant area – an expansive room with floor to ceiling bookcases, a 9-metre high glass ceiling and an upstairs art gallery and bar – is impressive and plush. There are 2 rooms for private dining a beautiful mezzanine restaurant space and a courtyard for outside eating and drinking. Wi-Fi makes The Library an ideal meeting spot for business or pleasure. A tantalising A la Carte menu is perfect for longer lunchtimes or Dinner.